The world of trusts, wills, and testaments can be confusing, but when it comes to inter vivos trusts vs. testamentary trusts, there is really just one main difference. Inter vivos is Latin for “between the living”, and describes a trust made while the grantor is still alive. A testamentary trust refers to the last will and testament, and occurs after an individual has died. So one trust is formed during the grantor’s lifetime, and one is formed after they die—they are still the same, right? They are actually very different, and can have drastically different results in how your assets are distributed and taxed. Read on to find out more about these two types of trusts and why it is so important to have good legal counsel when choosing which one will be right for you. The very nature of a testamentary trust fund means that it only comes into existence after the grantor, the person who is establishing the fund, dies. That person’s will dictates the trust, and the assets will be distributed after death. However, there are many issues to consider before settling on a testamentary trust. While it may seem easy to push the trust off into the future, or to not make the harder decisions about which family members get what, a testamentary trust can have unforeseen, negative consequences. A testamentary trust will almost certainly go through probate. This legal process starts when someone dies and either the executor of their will, or a person appointed by a judge, will file papers at a probate court. All of the assets must be found and secured during this probate process, which can take months to a year or more. Probate ties up property and money that could be used by family members to pay off debts, and can be expensive. Court and attorney fees can take up to 5 percent of an individual’s estate. If you are able to avoid probate, you can avoid the headache, expense and time it takes to complete. The grantor has no control over a testamentary trust once they die; which is when the trust goes into effect. Of course, the trust can be modified during the grantor’s lifetime, but it doesn’t go into effect until they die, so that limits the amount of control they have over how the trust is implemented. When a trust goes through probate the records are made public. Probate hearings are also public, so property and assets that are contained in the trust will be public record. Many people do not want all of their financial information to become public after they pass away. A testamentary trust does have advantages, though. Because it is funded after an individual dies, they do not need to divert their assets during their lifetime to fund the trust. You don’t need to worry about needing funds that will be in a testamentary trust, and you are secure in knowing that only after your death will those funds be utilized. Having some sort of estate plan, including a testamentary trust, is very important. If you have not considered how your assets will be distributed after you die, or the best way to use them during your lifetime, you should consult with a lawyer to explore your options. A living trust is great because you can continually add to it during your lifetime, but you must fund it with something. An unfunded living trust technically does not exist, so if no assets are transferred to the trust, except through a will, it still must go through probate. This negates any benefits to having a living trust. But funding a living trust can mean that assets you would like to be using will be restricted to the trust and unusable. If you need to keep many of your financial assets available, a living trust may not be for you. A living trust needs a trustee to manage the assets. This can be burdensome on the individual you choose, but you can choose to be your own trustee. However, this can could mean that the trust’s assets are considered part of the grantor’s taxable estate, and could result in tax consequences. A skilled estate planning lawyer can help you avoid over-taxation and find a solution that is right for you. While a living trust may have some additional cost to set up, avoiding probate means that you are usually saving money in the end. A living trust will also usually hold up better to legal scrutiny, if there is any contesting the terms of the will. A living trust also provides the privacy that a testamentary trust will lack once it goes through probate. So which trust makes sense for you? That answer will be highly dependent on your unique situation, your assets, taxes, and more. You need a skilled estate planning lawyer to help you navigate the complex legal landscape of living and testamentary trusts. 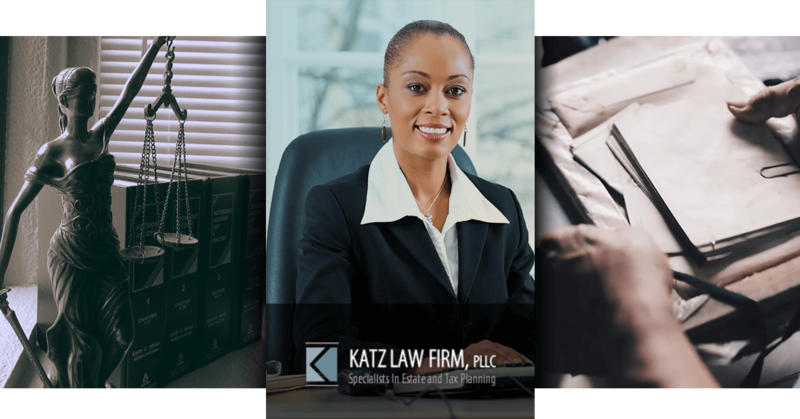 Katz Law Firm, PLLC, in Cedarhurst can help, and we specialize in estate planning. Being overwhelmed with your legal choices can sometimes result in not taking the actions you should, and we would love to help you feel confident in your estate-planning choices. 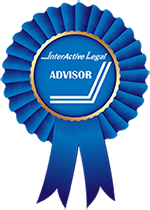 Let us help you explore the benefits and disadvantages of both inter vivos and testamentary trusts. Don’t wait to craft your estate plan—call us today to get started!